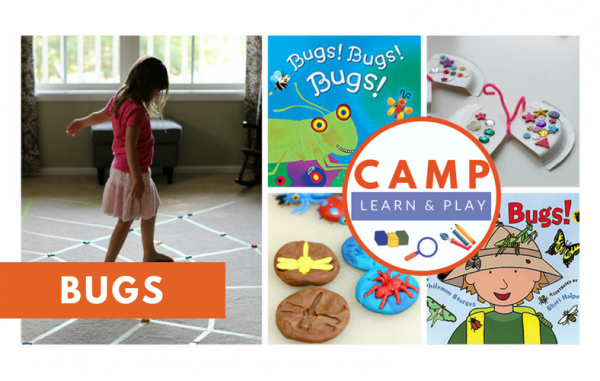 Camp Learn & Play – BUG WEEK! I love bugs, kids love bugs, and so that is why this week is last. I saved the best or at least the buggiest for last! 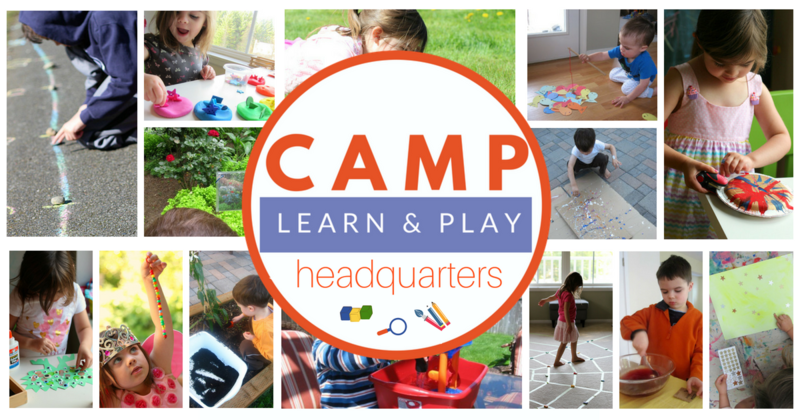 If you have been enjoying Camp Learn & Play please let me know. 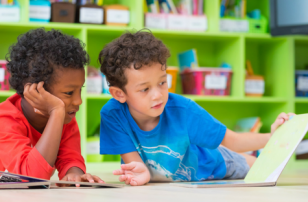 It’s been so much fun to put together and see photos, and Instagrams of your little ones participating in the activities. 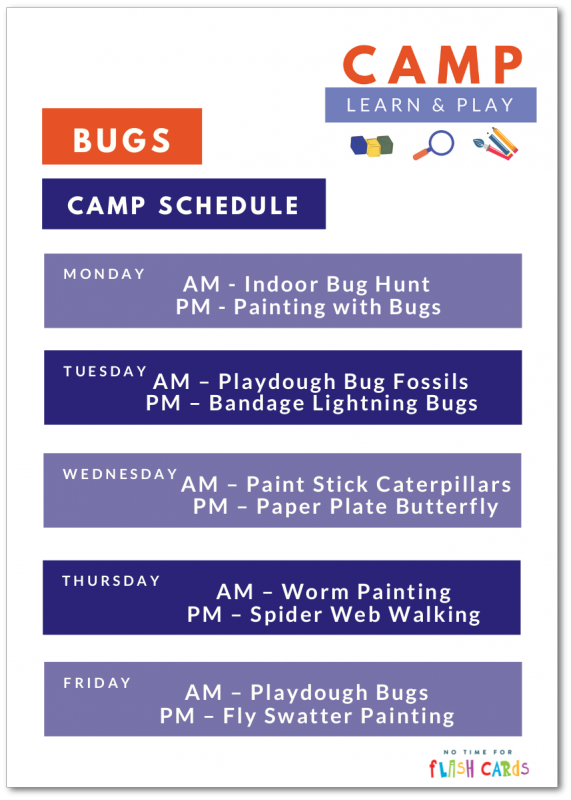 If you are brand new to Camp Learn & Play you can jump in on this week”™s activities or start wherever works for you, this is all go at your own pace. I suggest two simple activities a day, but it”™s up to you! Week at a glance ”“ print this out here. 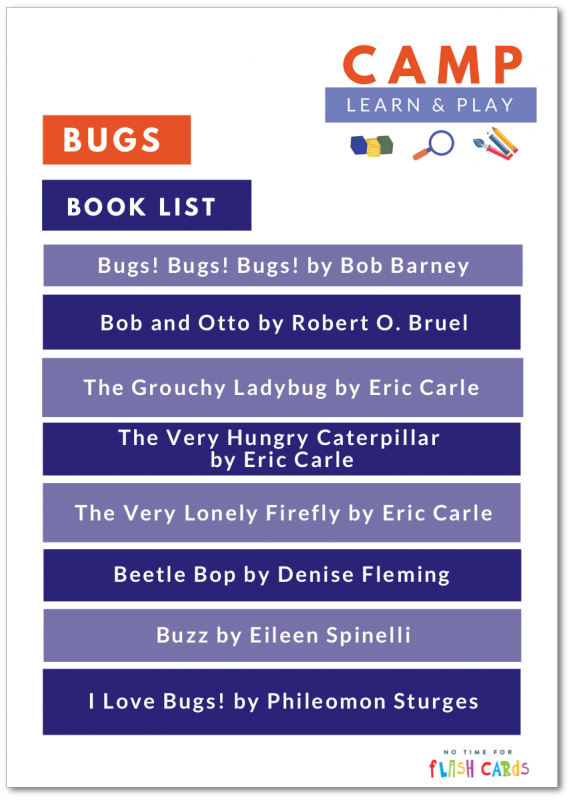 Bug Booklist ”“ print this out here. 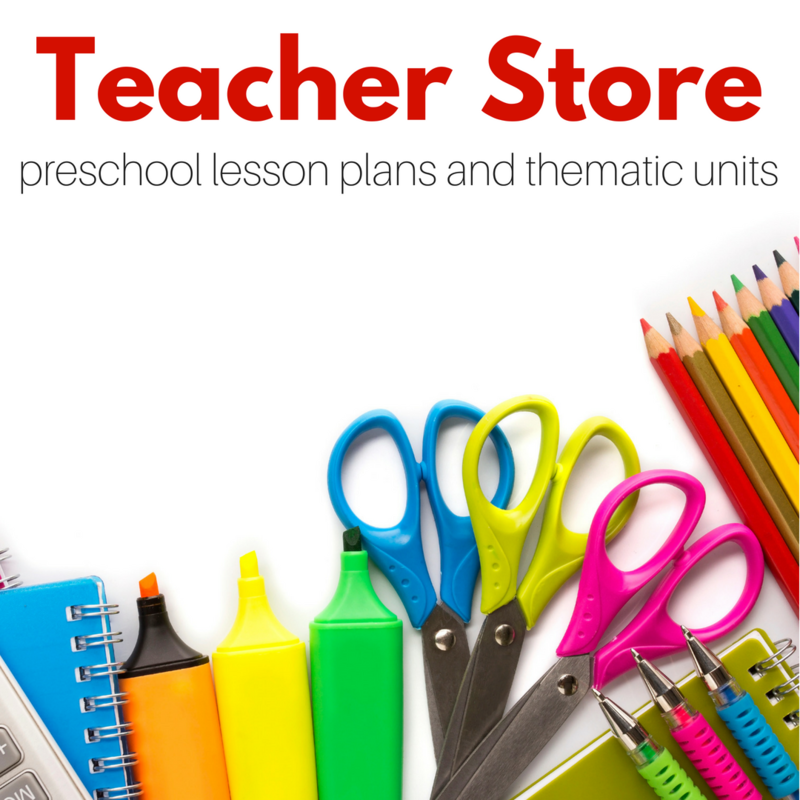 Then, stop by our Resource Center to get everything you need ready for the week! Here are your activities for the week. Click on the titles if you need more detailed instructions! 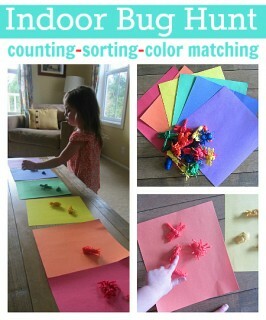 AM: Indoor Bug Hunt – start the week off with a great scavenger hunt, don’t worry the bugs aren’t real. 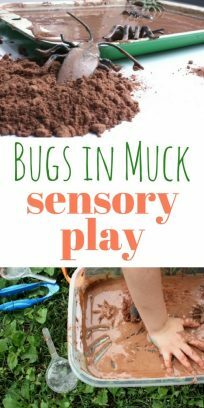 Pop over to the dollar store to get some bugs if you don’t have any plastic bugs on hand. 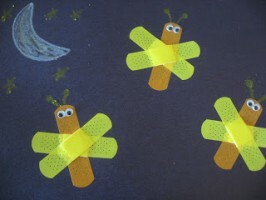 PM: Painting with Bugs – use the same plastic bugs to paint instead of using paintbrushes! 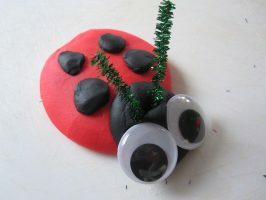 AM: Play Dough Bug Fossils – learn about how fossils were made or just explore the fun imprints that plastic bugs make in play dough. 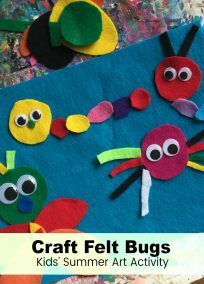 PM: Bandage Fireflies – this is such a fun little craft especially if like my kids yours don’t get to see fireflies in real life! AM: Paint Stick Caterpillars. Make something fun and bright with an old paint stick that is gathering dust. 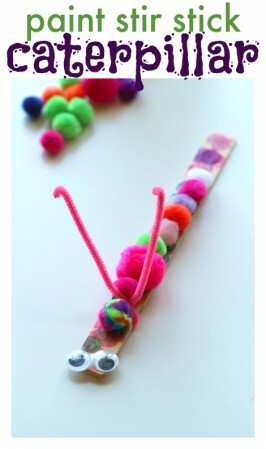 The pom poms don’t just add color, they promote fine motor development too. 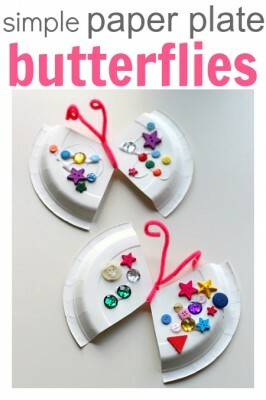 PM: Paper Plate Butterfly – not only adorable these paper plate butterflies encourage kids to work on that pincer grasp as well as counting as they add jewels to the craft. 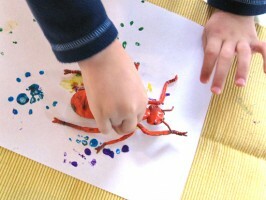 AM: Worm Painting. 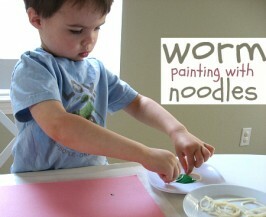 This is a fun process art activity and don’t worry zero real worms were harmed. 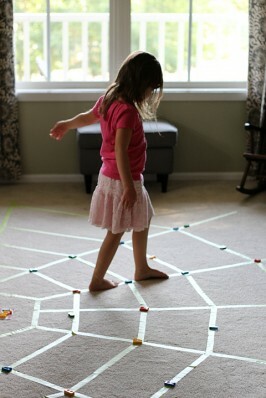 PM: Spider Web Walking– we focus so much energy in the classroom on fine motor, writing readiness, and literacy, but we need to take time at home and at school to work on gross motor skills too! This activity does just that. 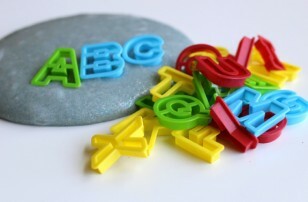 AM: Play Dough Bugs – We love play dough, and this activity is a great open-ended one for kids of all ages. 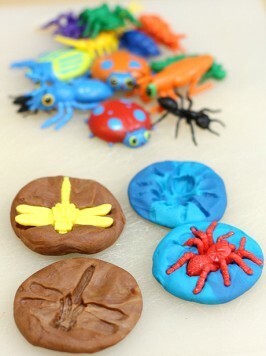 Use what you have on hand to turn plain old play dough into rad bugs. 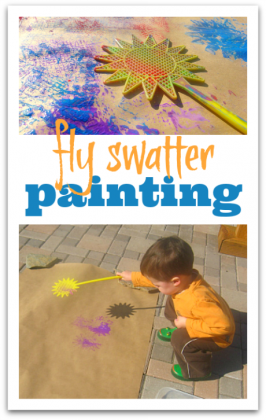 PM: Fly Swatter Painting – This is messy, there is no way around it so just embrace the mess and have fun with it, your kids will. 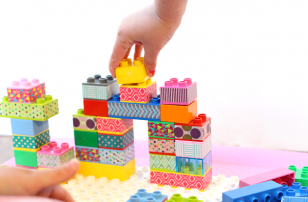 Want more great ideas? 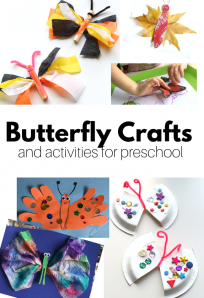 Visit our Bug Week Pinterest Board!